The International Cricket Hall of Fame and The Don Bradman Museum is located in the town of Bowral, Southern Highlands of New South Wales in Australia. 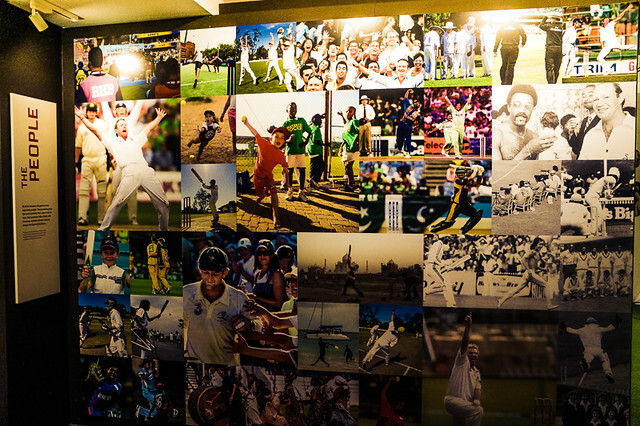 The International Cricket hall of Fame pays homage to all things cricket from all cricket nations around the world. For those of you that know very little about cricket, cricket is a bat and ball game. Cricket is a game played mainly at the top level by commonwealth countries Australia, England, South Africa, India, Pakistan, New Zealand. Many lesser countries who are not quite at the elite level now also play. There are 12 people to a side but only 11 take the field. (The 12th player is known as the 12th man and is a substitute for injuries) After a coin toss to decide who bats first the fielding/bowling team takes the field while the batting team send out 2 batsmen to the pitch. Find your accommodation in BOWRAL today with TripAdvisor HERE! Bowlers have 6 balls to bowl called an over before another bowler takes over. To get a player out you need to ‘bowl’ them (removing the bails from the stumps) get the caught leg before wicket (lbw) or catch the ball after they have hit it. The batting team must get as many runs as possible before being ‘bowled out’ which means they have run out of batters. To get runs the batters must hit the ball and run from one end to the other crossing over ends. A recent match in the World Cup being played in Australia and New Zealand between India and Pakistan had a television audience of over 1 billion spectators. Cricket is the 2nd largest spectator sport in the world! Cricket is played in 3 different types of matches. The Test match: A cricket test match goes for up to 5 days. The Limited Overs match: This match is where each team face 50 overs each. The new 20-20 format. This is a super fast game where both sides get 20 overs to get as many runs as they can. The International Cricket hall of fame touches on all these 3 types of competition. Where is the Donald Bradman Museum? You may be thinking Bowral is a strange place for a cricket museum. 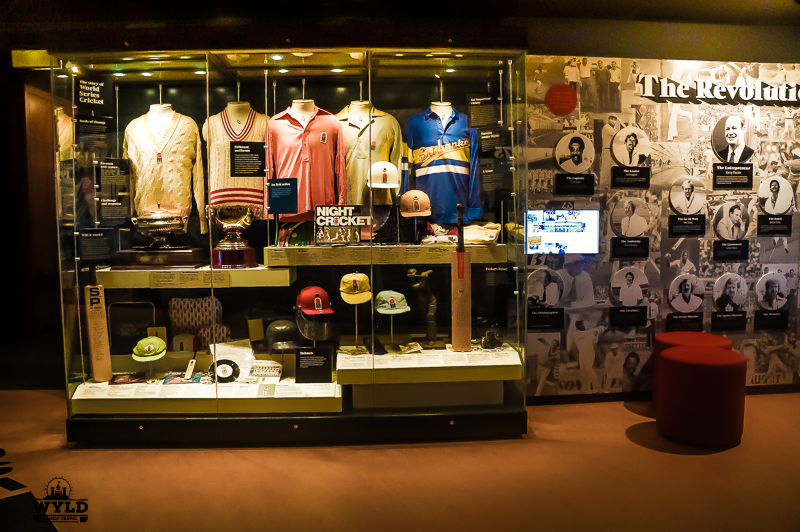 Many would think this international cricket museum belongs at the Mighty Melbourne Cricket Ground or even The Home of Cricket Lords in England. But no it is in Bowral a small country town a few hours out of Sydney near Wollongong and it is not on the main highway either. The address of the International Hall of Fame Bowral is St Jude Street, Bowral, just off the F5 Freeway (Hume Hwy), about half-way between Sydney & Canberra. 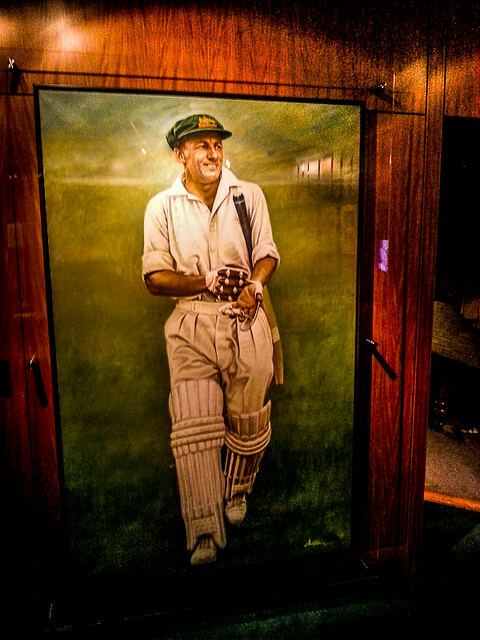 When is the Donald Bradman Museum Open? The Bradman Centre is open every day from 10 am – 5 pm, except Good Friday and Christmas Day. 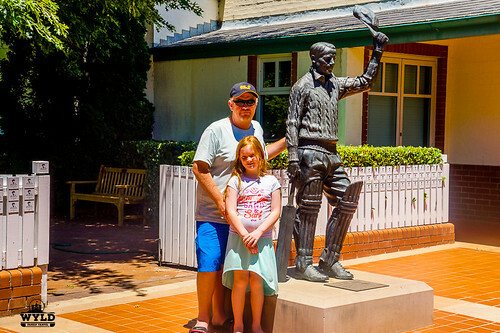 You will need around 1 hour to properly visit the Bradman Museum. Why is there a Bradman Museum? Australia’s most treasured cricketing legend Sir Don Bradman called Bowral home growing up. Most Aussie kids who’s parents loved cricket grew up with stories of the famous Don Bradman and how he practices his skills with a small ball and stick against the families water tank. Bowral Cricket Club is where the ‘Don’ started his illustrious career. For any cricket tragics, purists and lovers of the game, they seek out the Bowral Cricket Club like it is the holy grail. Bowral is the home of Don Bradman, the greatest cricket player ever to play the game. The “Don” as he is referred to is an icon of the game both at home and abroad. There are not too many people who don’t know his name even if you are not really into the game. Bradman retired with a batting average of 99 runs per innings. For those who are not familiar with the game of cricket, that is an amazing average! It can be rightly claimed Bradman was the greatest sportsmen of all time. Certainly, there are other standout sportsmen and women in their sports. No-one in the history of their sport has ever been so superior statistically as the Great Sir Donald Bradman. Bradman ended his career with a test average of 99.94 runs over 52 matches from 1928 to 1948. As an example of his superiority in the game of cricket, the second highest ever test average is that of Graeme Pollock with 60.97. The third is that of George Headley with 60.83, then Herbert Sutcliffe with 60.73 and so on. This shows how completely dominant Bradman was. Bowral is where Bradman grew up and played his early cricket. The oval that is attached to the Bradman Museum is where Bradman first played. 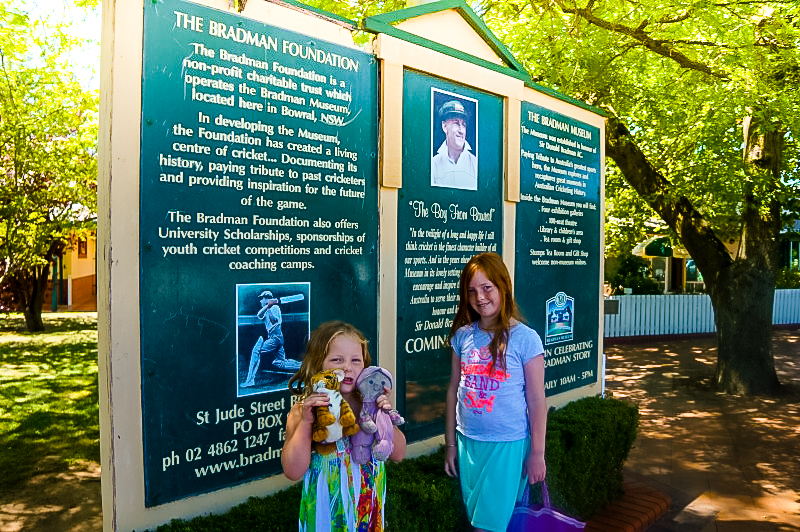 The oval Bradman played on is attached to the Bradman Museum and games are still regularly played on it. 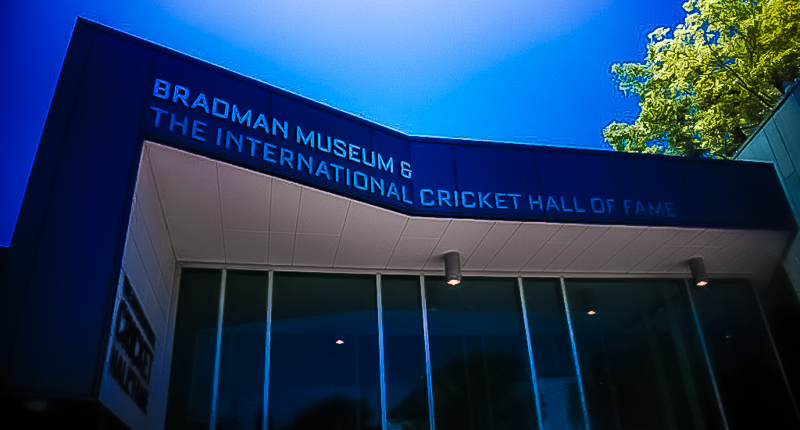 There is particular emphasis on Bradman and he has his own section of the International cricket hall of fame dedicated to all things ‘Bradman’. Teams from all over the country regularly come to play competitions on the Bradman Oval. How much is entry to The International Cricket Hall of Fame Bowral? Iconic images from the world of cricket. How many of these players do you know? 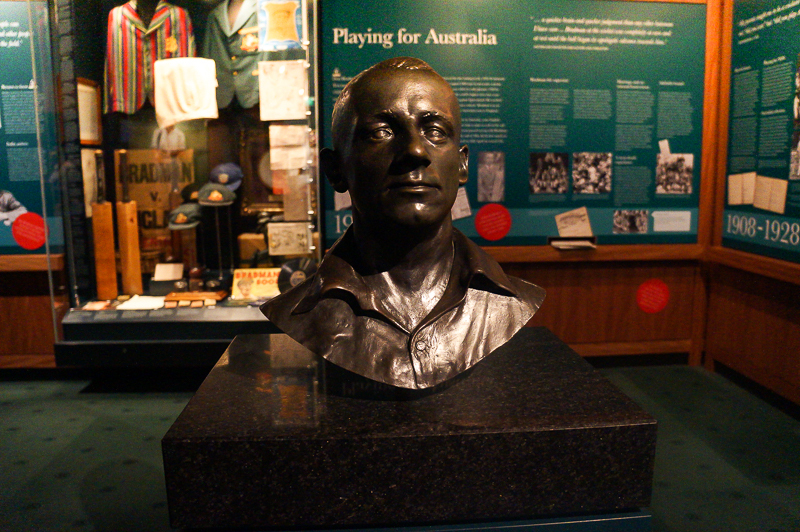 The international cricket hall of fame features themed exhibitions within the Bradman museum. These include ‘The Origins’, which tracks the history of the game. The sport of cricket has a known history beginning in the late 16th century. The game having originated in south-east England became the country’s national sport in the 18th century and spread out through Englands colonies worldwide. The museum traces the growth of the game globally in the 19th and 20th centuries. The Museum showcases the best players of all time, from all eras. Will your choice be Bradman, Lara, Sobers, Gavaskar, Waugh or Pollack just to name a few? A favourite of ours was The Bradman Gallery. This is where the life and accomplishments of Sir Donald Bradman, the greatest batsman of all time are on display. What did Mark think of the ICC hall of fame? I found this cricket museum a great experience and well worth this visit. It had fantastic displays of memorabilia and cricket artefacts dating back to the early 1700’s. There is a huge collection of bats, balls and uniforms on display that shows how they have evolved throughout the history of the game. There is also a section of memorabilia signed by the modern greats of the game which I really liked. The great thing is the museum will continue to grow perpetually and will be constantly changing with the game of cricket. The public experience will be enhanced as more memorabilia is donated. The multimedia integration into a traditional museum was excellent. There were touch screens, projections of past players in the locker room, short movies in the theatre, and on-demand audio and visual footage. You can review the best players of all time, from all eras. It was great to see some footage that the both of us remembered from when we were younger! The short movie on the evolution of world series cricket in the 1970’s and how it changed cricket forever was very interesting. The colourful uniforms from the 70’s and world Series Cricket. We spent a good few hours at the International cricket hall of fame. Our youngest Marley was not very happy about it, but there were plenty of couches spread out through the cricket museum to sit on. Willow, on the other hand, showed some general interest in the museum and especially the multimedia displays. Let’s say, my wife, Bec was not overly keen to spend an afternoon at a cricket museum. Bec knows a fair bit about cricket to be fair but has no real interest in the game. Bec only watches the cricket when I am watching the Australian National team on T.V. play. Her opinion was important to me as I really enjoyed the visit. The museum impressed Bec. She rated it highly and worth a visit. Featuring cutting edge technology, interactive touch-screens and much more. 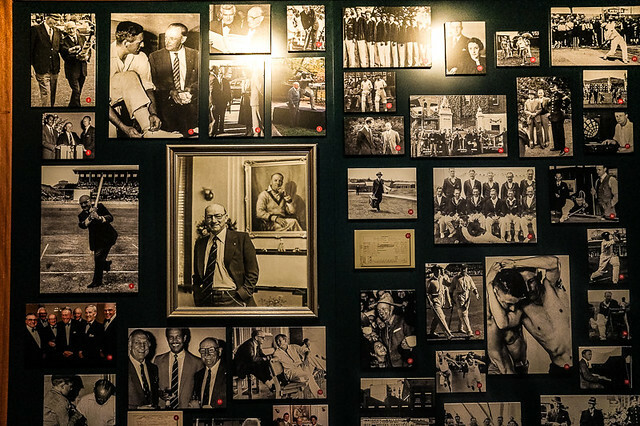 The Bradman Museum & International Cricket Hall of Fame is dedicated to promoting the game of cricket not just to the keen followers of the game but to all who wonder: what is cricket and why is it so important to millions of people around the world? I’d love to see a game being played, any games going on when you were there? I do not know much about cricket, so I would probably need to go here to learn more about the game. I did go to a short game in Melbourne once. I admit I know very little about cricket but it’s on my radar more now that we’re in India. You see kids playing some version of it in the streets a lot. Never before have I seen nor been presented with the opportunity to attend a cricket match. This is on our list of activities for our grand world tour some day. Interesting, I know nothing about cricket and I have never had an opportunity to watch on tv. It seems that even those with little to no interest could still find a visit to the museum to be valuable. Cricket is definitely not something that we have or even hear much about in Canada! my husband and son would love to visit this place! They both play cricket and loving watching the games as well. Maybe will swing by during our road trip next month! This is one place that my dad would so love. I ain’t too much of a cricket fan so am indifferent to it. 2. In major cricket playing country’s listing, you have omitted West Indies.